When my sheltie Asher was young, he was obsessed with motion. Coming from a strong herding and performance line, Asher would get really ramped up when he saw motion of any kind. Other dogs running, people running, birds flying, cars zipping by—it would all cause him to lose focus and lunge at the end of his leash in a desire to chase the moving object. 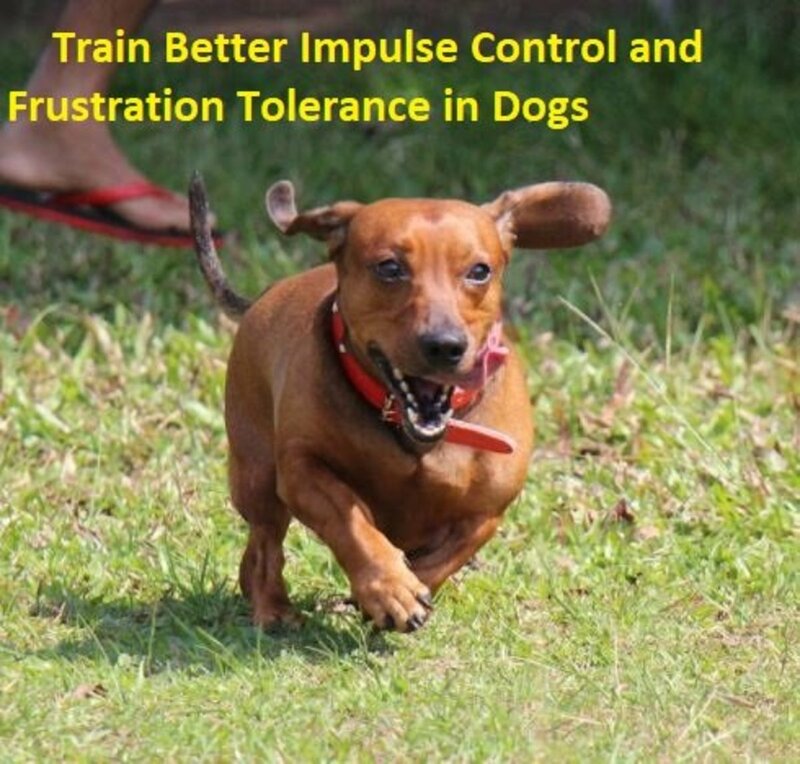 I spent countless hours working to teach him impulse control against this behavior, but was met with little success until a reward that he loved more than watching motion came into our lives. When I first tried Salmon Crack dog treats with Asher, his focus problem found its solution. This treat is called "Salmon Crack" because it's jokingly like "crack," the highly addictive and illegal drug, to dogs. They become enslaved to its fishy smell and flavor and just can't get enough. My dog started showing immediate improvement in his focus after I started using these treats. Over time, I have decreased usage of these, and now we only use it ringside at agility trials to get Asher happily focused on me before our agility runs. He always knows when Salmon Crack comes out that we are headed into the ring. Go to 2:07 in the video to see Asher focusing for these salmon treats. He's right outside of the agility ring where a fast dog is finishing his run. You can see Asher sit calmly and walk nicely into the ring, something he couldn't do before the addition of these treats. Yields: Depends on dog's size/training session duration. Preheat the oven to 350 degrees. 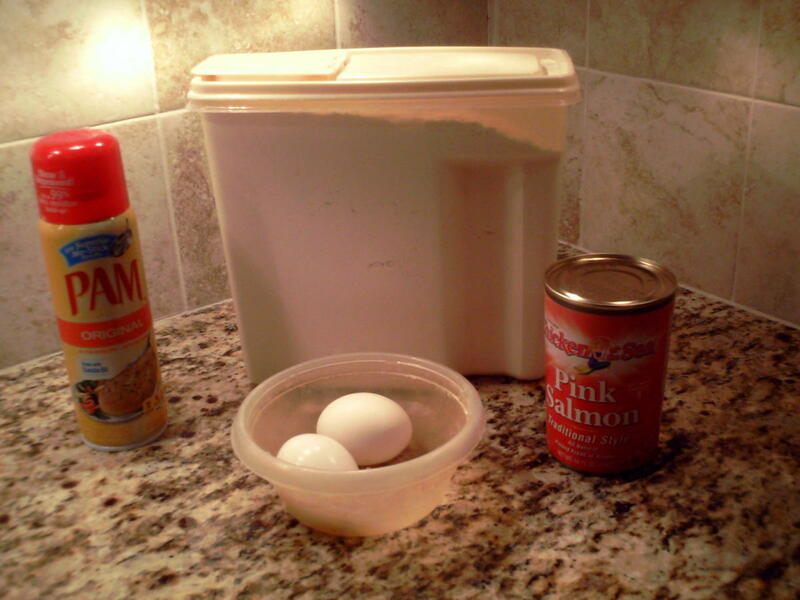 Open a can of pink salmon. Don't drain. 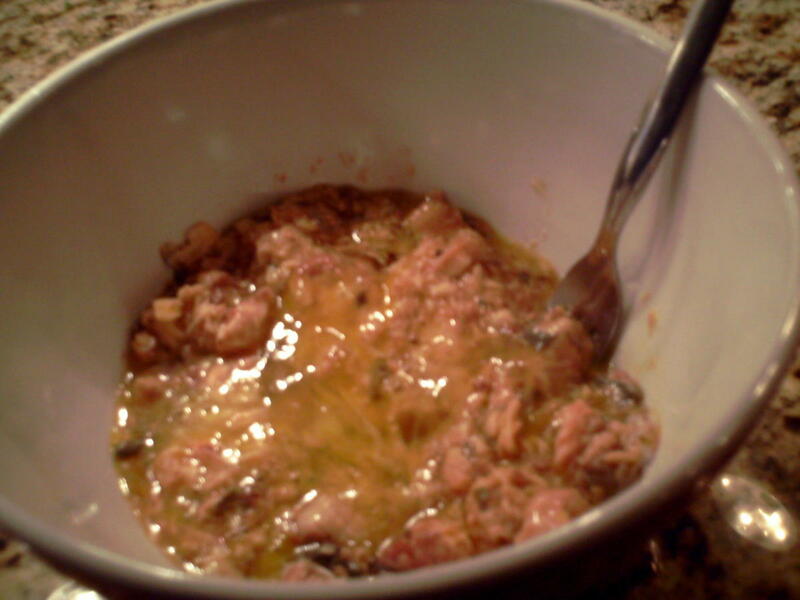 Put salmon and its juices into a large mixing bowl. Crack and add two eggs. Dispose of shells. 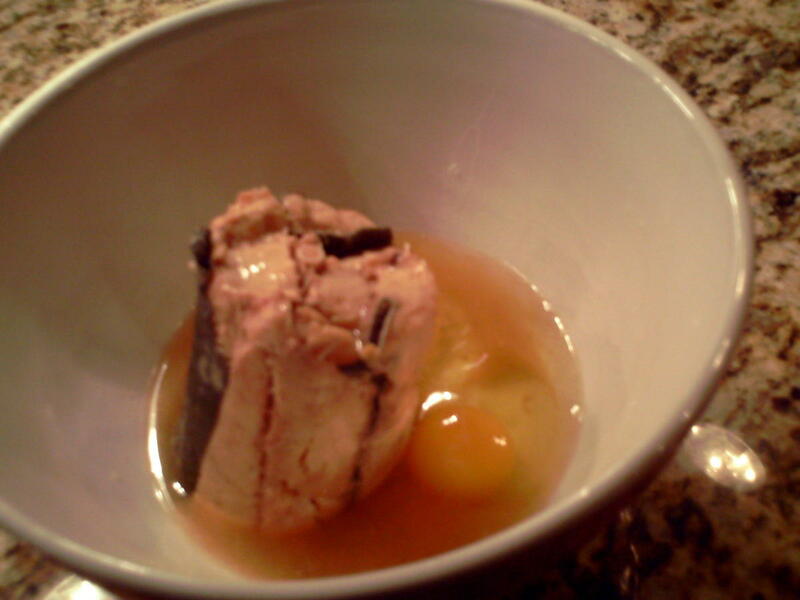 Flake salmon and mix it with the eggs. 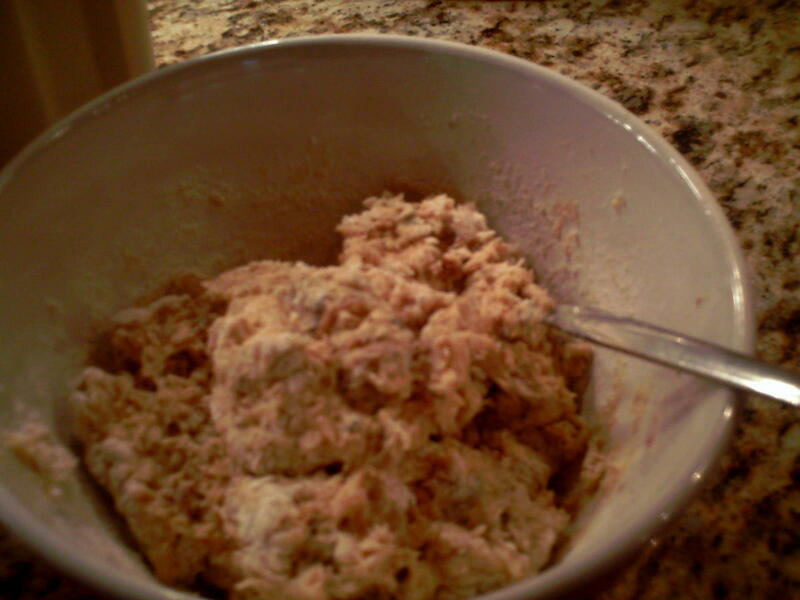 Take the flour and mix it into the salmon/egg mixture. You don't have to be precise with the flour and may add more or less than recommended. You will want a consistency similar to the photo below. 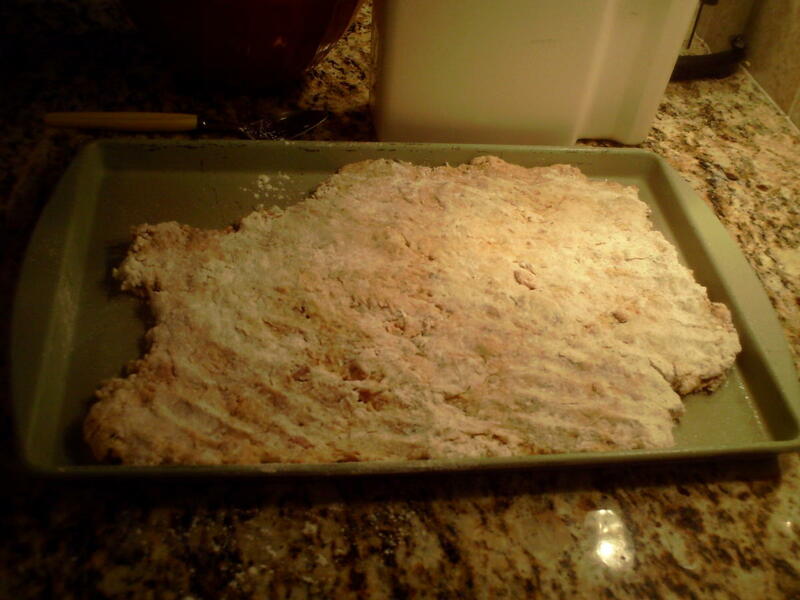 Spray a baking sheet with no-stick cooking spray and dump the dough mixture onto the sheet. 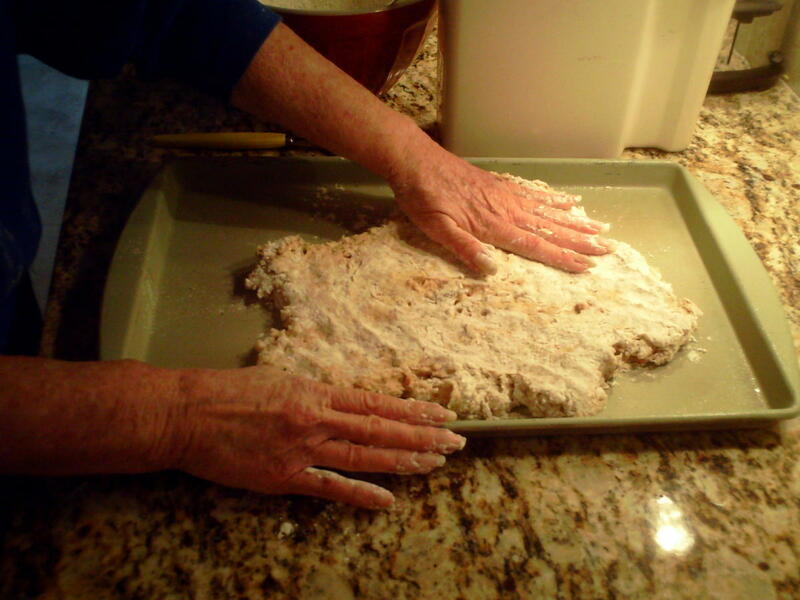 Sprinkle some flour on top of the dough and flour your hands to keep the dough from sticking to your hands as you press it flat. Press the dough out flat until it is about 1/4 inch thick. If you want it more moist, you can make it thicker. If you want it crunchier, you can make it thinner. You don't need to make perfect corners as this will later be broken into small treats. Just flatten it out into any old shape. Place the cookie sheet in the center of the oven. Let it cook for 25-35 minutes, depending on whether you prefer moister treats or crunchier treats. Remove from the oven. Use a spatula to lift off of the cookie sheet before cooling, otherwise it may stick to your cookie sheet. You can let it cool on a rack or in the cookie sheet. Once cooled, divide the Salmon Crack into desired portions, bag and freeze. After people began to see the change in Asher from wild child to something controllable, I began getting requests for my Salmon Crack recipe. In fact, I've been asked for this recipe far more than any other. I'm not sure if this bodes poorly on my abilities as a cook or favorably on my abilities as a dog trainer. Salmon Crack is extremely easy to make, filled with healthy ingredients, and its vitamin packed. However it is not a substitute for regular meals. This is designed as a treat to be fed during training or as a special reward during the day. Dogs don't have to be performance dogs or in training to get a healthy, tasty treat, and this one fits the bill. Since it contains fish, it does need to be refrigerated or frozen. According to the USDA, cooked fish when stored for human consumption should be kept in the fridge and consumed within three to four days. It can be kept frozen for three months before consumption. 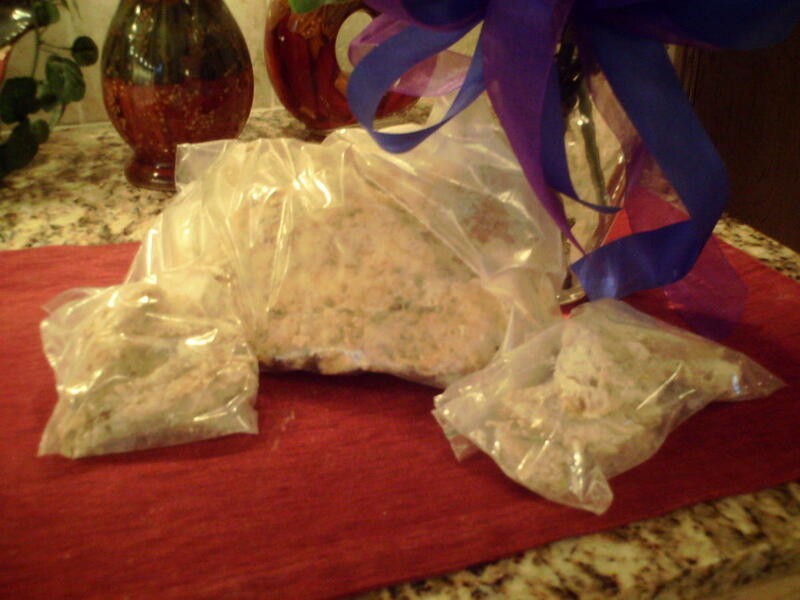 While still warm, I divide my Salmon Crack up into daily portions and place it into freezable storage bags. When I need them, they are there ready for instant focus. Asher doesn't mind if the treat is a little frozen upon use. Cold or warm, it's still delicious to him! This recipe is very versatile. You can change it as you'd like. I know some like to add a little cooking oil to the recipe for a moister treat. I personally don't like adding fats to my dogs' diets, so I avoid this. You can also use gluten/wheat-free flours instead of white bread flour. In the ingredients, I don't list what type of flour to use as any flour should work. In addition, if you like your Salmon Crack to be more moist without adding oil, cook for less time. 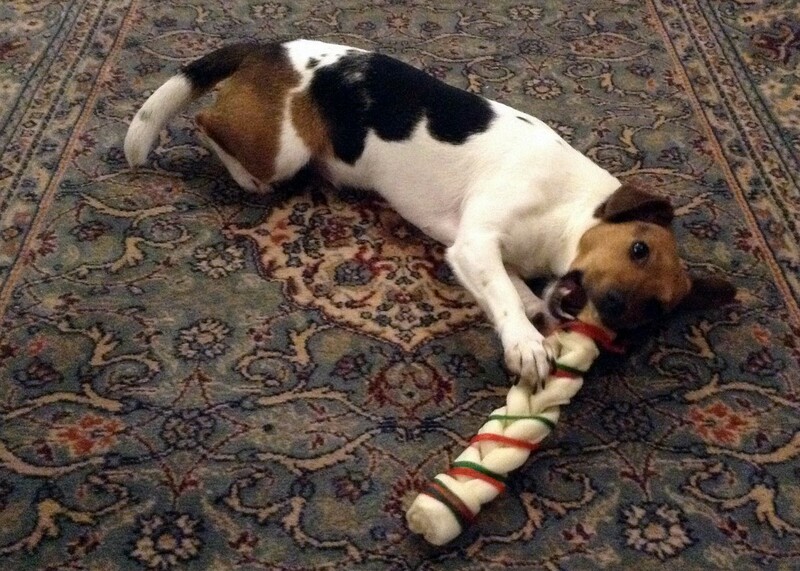 Some dogs prefer a good crunch to their treats, so a longer cooking time will make for a crispier treat. As Asher prefers a moist treat, I spread the dough slightly thicker, and I don't overcook. Please note the below nutrition label is rated for humans, not dogs. Therefore, while the grams should be fairly accurate, the percentages will reflect percentages for a human's diet. This nutrition label was created through the use of an online recipe calculator. It is hard to determine how many servings go into one batch of Salmon Crack. The nutrition label below is based on 20 servings, but if you use more or less in one sitting, the nutritional values will change. 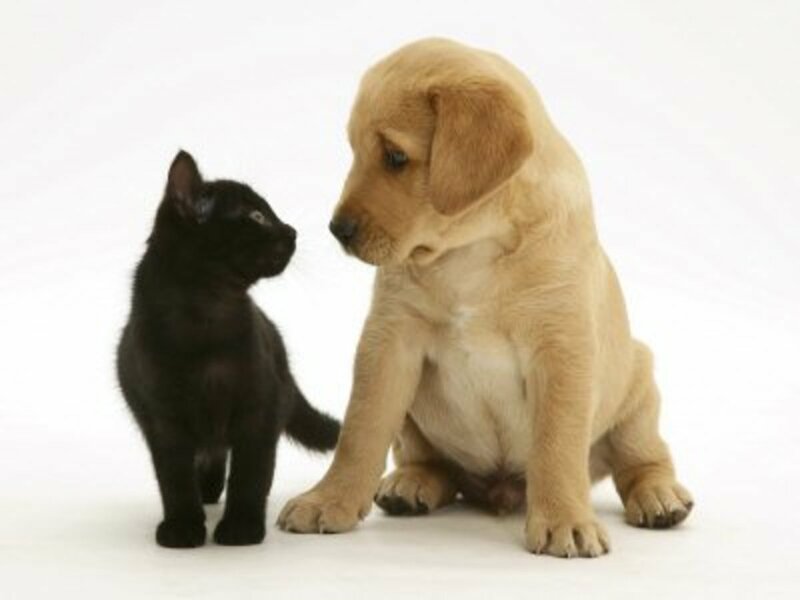 If you are feeding only a small bite each day as a treat, there will be far more daily servings than 20. If you are using it in training, you may easily use far fewer. Also, although the below nutrition label shows zero sugar and fiber, it actually has 0.1 grams of sugar and 0.4 grams of fiber. The other calculations were also rounded for the label. This basic recipe can be changed to fit your dog's tastes. If you dog doesn't like salmon or you don't have salmon on hand, no problem. Tuna is a great substitute for the salmon. In fact, you can substitute any meat for the salmon as long as it can ground up and mixed easily with the flour. The simple concept of flour with the egg binder and added meat for flavor can be used to make any variety of different treats. I hope you give this fast, easy recipe a go. If you do and if you make variations on it, please let us know how your dog likes it in the comments below. Hey Mom, Is That Salmon Crack You Have There? Excellent! Thank you for the recipe and the name is great. Fantastic!! 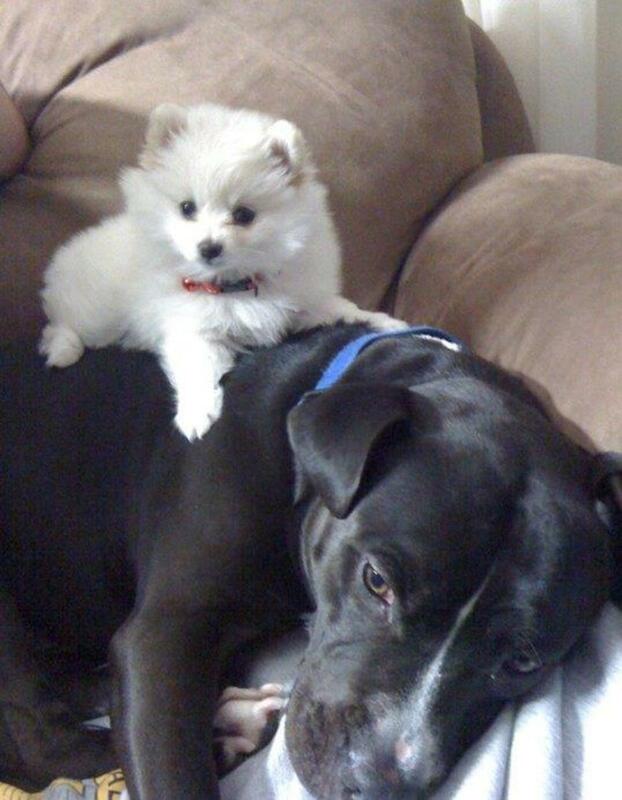 I'm glad your pups like them! If I dehydrate the salmon before making the treats, would they still need to be refrigerated? Very short. It's fish, so they would need to be refrigerated right after baking. I would think only a day or two days in the fridge before going to the freezer where they can last as long as fish normally lasts frozen. They aren't like regular dog biscuits that can sit on the shelf for practically ever. Do you know how long the shelf life would be on these? Thank you for the recipe! Made today for my pups and they love it! I used Brown Rice Flour and it worked great! Just ran a search for a recipe as the store bought are so expensive! This looks very similar to a recipe I use with liver for my 3 boys. I also use ground up dog food as the "flour" in these types of recipes as I like to cut the outside ingredients and the dogs love the treats no matter what. TFS. 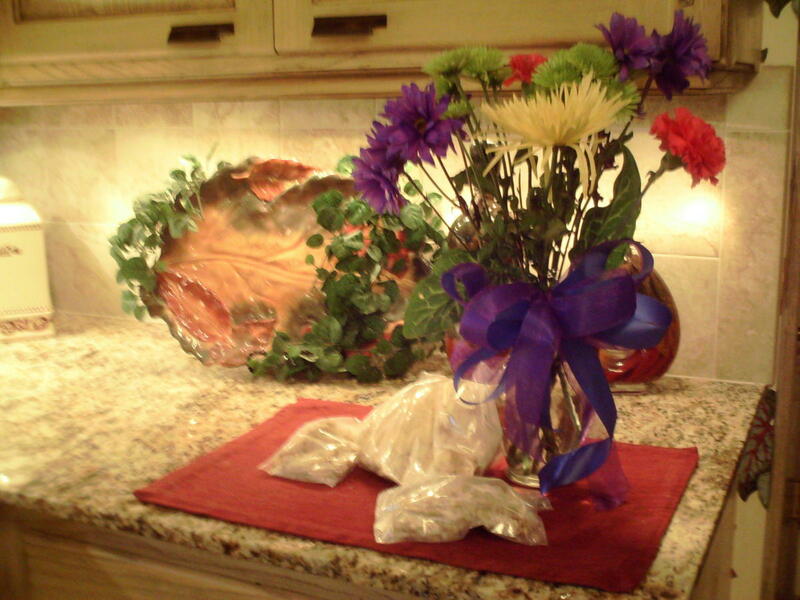 My dog loves the store salmon treats but they are expensive, so I wanted to try to make them at home cheaper, I will have to see how many cookies this recipe makes compared to the bagged ones in the store , anyhow, I know he will love them ! thanks for posting this ! Made this today for my Blue Healer Toby. He loved them. I can tell he loves them because he is the most polite dog I've ever seen. He never reaches for food or treats, waits patiently to be given it. He won't even walk out an open door before being verbally invited to do so. After one bite of this stuff, he was reaching for more, something he doesn't do for anything. I am glad your dog loved them! Thanks for leaving a comment. Made these for our dog today in donut pans, and he loves them. Thanks so much for sharing the recipe. It was super easy to make. The big cans of salmon here have bones in them, is that ok?? I picked up 2 smaller cans for my first try because I could get them without bones. I'm worried there could be an issue with the bone stuff. I have been making these for about 2 years now. My 90 lb stubborn dog responds to them so well in training. I soak a cup of dog dry food and a quarter cup water in the salmon oil for a half hour before putting this into the recipe. 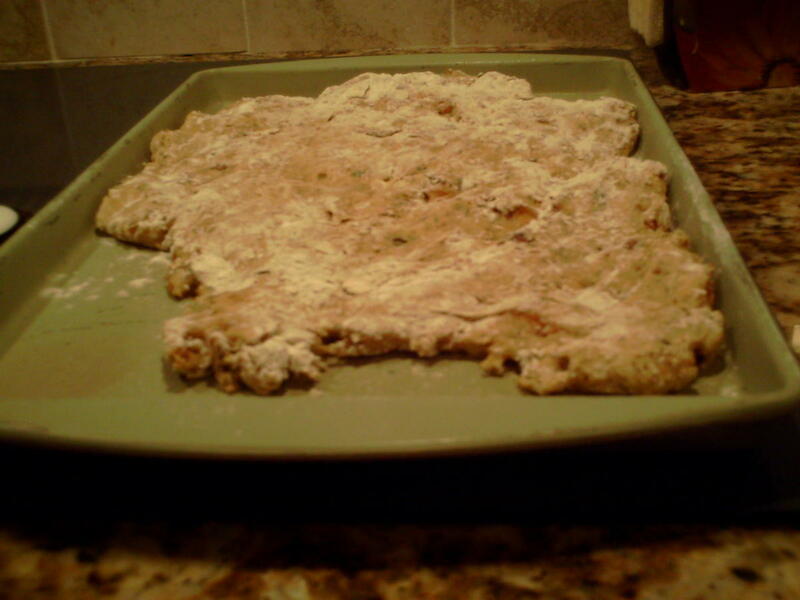 I cut pea size squares with the pizza cutter and split the salmon crack into four bags to freeze. On training days I just subtract a cup of dog food from the feeding that day. Some times I make this with just pumpkin or peanut butter. If you double the recipe you can split the dough and do half salmon and half pumpkin or peanut butter and roll into strips. Twist the two and bake.and cut into short serving after baking .Great for christmas presents. I am the most popular granddog mother ever! So thanks for the recipe! As with all dog treats, you don't want to give too much. Treats can upset the tummy if the dog gets too many. I use very tiny bits when training - about the size of a half a dime to a dime. Your Sheltie should only be getting so many calories in a day, so if you feed treats, you need to feed a bit less dog food. It is very hard on a dog to get overweight, so I keep my dogs trim. Trim means you can feel the ribs when you GENTLY rub their sides. There should be a SMALL layer of fat over the ribs. For active, working, performance dogs, this layer of fat should be thin. For house dogs, the layer can be thicker, but you should still feel the ribs easily without much pressure when you rub the sides. By watching how many treats I give and adjusting each dogs' dinner accordingly, I can keep my canine athletes in tip-top shape. Hi. I'm getting the ingredients to make some today. 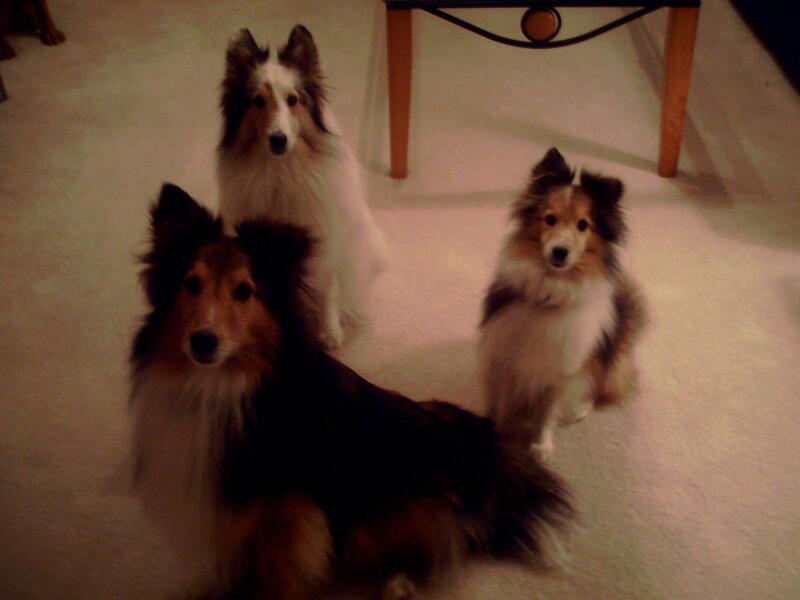 How much do you give your Shelties per day / training session / other time frame? My Sheltie is very alert to everything that happens outside of the dog park and I'm trying to get that out of him as much as possible. I hope he reacts to this like yours did. Just made these for the first time (stocking stuffers) and it really is crack! My four pups are following me around trying to convince me that they need to do more taste testing. It is salmon, so yes. Absolutely refridgerate them. I wouldn't keep them in the fridge longer than 3 days without freezing. I keep them frozen until I need them. Good point!! How long do these treats last, and do they need to be kept in the freezer or does fridge work short term? Great tips hbirdannas!! I hope everyone reads into the comments to get them!! Thanks. This is a terrific recipe. It's healthy and easy. I, too, use parchment paper on the cookie sheet. In addition to easy ckeanup, it makes it easy to lift off the sheet and onto the counter for cutting. I use a pizza cutter for that, cutting into a grid of about 1/4 " pieces. Also, instead of using extra flour to prevent sticking the dough from to my hands, I bought some disposable plastic gloves at the dollar store and use those; another easy cleanup idea which I'm all for! Thank you for sharing this recipe; it IS a wonderful training treat. I give it only then so my dog "NOSE" it's time to get down to business! I love hearing all the variation people have tried. thanks for posting how yours worked out!! I finally made these using spelt flour instead of wheat. Turned out pretty nicely! Your first day of dog school!!! How exciting!!!! I do recommend taking a second or third treat with you to dog school too. I usually take a cooked hot dog and maybe a store bought treat along with the salmon crack. If my dog gets tired of salmon crack, then the hot dog may get his attention. Take a toy or two as well. 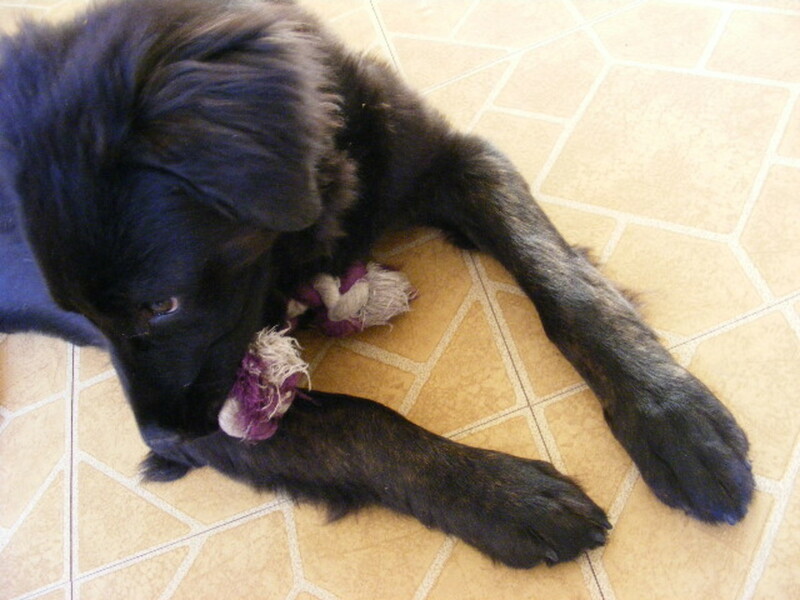 I always go with lots of rewards for focus when my dogs are first starting training. Thanks for dropping by!!! Just made some Salmon Crack and waiting for it to cool. My pup and I are starting dog school tonight and she is waiting patiently to try her first taste!! She was very interested as soon as I opened to Salmon can!! Thanks for the recipe!! It's in Oklahoma City this weekend over Labor Day. You'll have fun at Purina Farms!! I haven't ever been to the facility, but everyone says it's great fun. You're gonna be there with a lot of my friends. Enjoy!!! Where is the trial?? 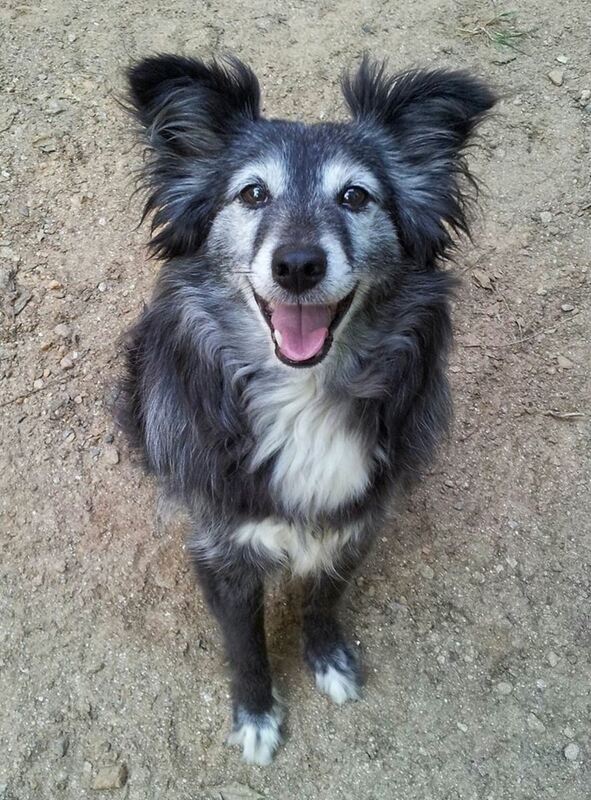 We are headed to Gray Summit, Mo next week for the Border Collie National Specialty. I'll drop by! Thanks for posting; I have a can of salmon that has been taking up space for years! Sharing with my FB friends! We have made many variations on this using oat flour, rice flour, spelt flour and we have also used tuna and sardines in place of the salmon. My rescue agility pups both LOVE fish and they love these treats especially since they always seem to show up for agility practice! They are super easy to prepare and easy to portion into tiny soft treats for smaller dogs. If you put oil in the recipe, I bet it would be more less crumbly and more easily rolled out for shapes. You can play with it and see how the dough changes with the addition of oil or more or less water, egg, etc. As far as tiny pieces, if you don't bake it too long till it gets rock hard (which I've done a few times), it can easily be broken up with your fingers into tiny bites for the real little guys. I feed Salmon Crack in very tiny pieces to my friend's Chihuahua at trials all the time. It works great!! I hope this works for your dog's allergies. :D Thanks for dropping by, and thanks for the non-stick tin foil tip!!! Ohhhhh. This sounds marvelous! I have a dog with allergies too and I think this is the treat we've been looking for. Is the dough thick enough to cut them into shapes, by chance? Or maybe even rolling it into a long - very thin - log (about 3/4" wide), then slicing them into teensy pieces, like a little bigger than a pea. Normally I buy Zuke's training treats, but I'd much rather give my girls something homemade if it'll work. I might have to experiment. Oh and non-stick foil is also good at stopping them from sticking. :) Just save yourself some cash by only using it for baking, but not covering left-overs and such. I just made tonight for the 2nd time, my dogs LOVE this! They are freaking out waiting by the oven while they cook. I also use partchment paper since I hate cleaning cookie sheets. Thank you for the recipe! That's an excellent tip, runswdogs!!! Thanks for taking the time to comment and add that. I will need to give that a try as clean up of my cookie sheet is a bit of a drag. 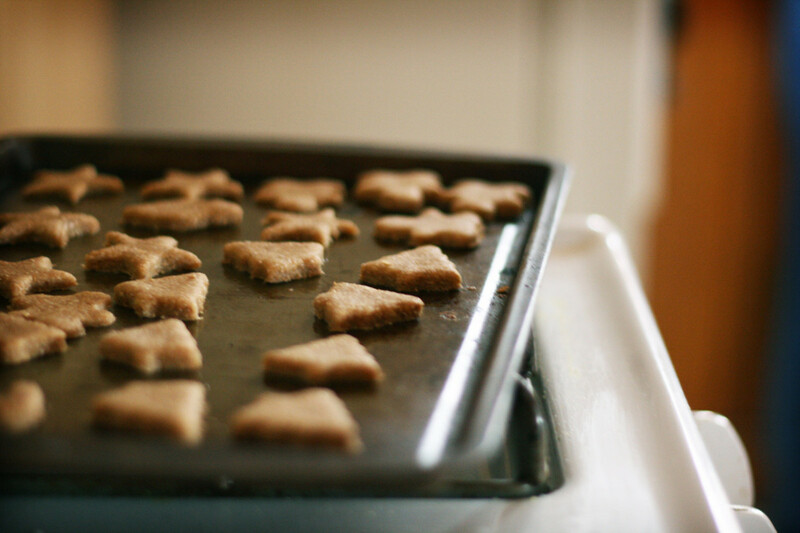 I make a very similar Salmon Treat recipe for my dogs- one thing I might add, I use parchment paper on the cookie sheet and it makes removal and cleanup a whole lot easier. Keep in mind that the addition of pureed fruit may impact both the taste and the density of the finished product. " If you try one of the above, please come back and let us know how it worked so others who have dogs with egg allergies can know. Good luck!!!! I liked to read about how to make a treat for your dog. great photos. I'm sure it can. I haven't used different flours myself, but I don't see why not. :) As long as the dough consistency ends up like a cookie dough-type, it should be good to go. 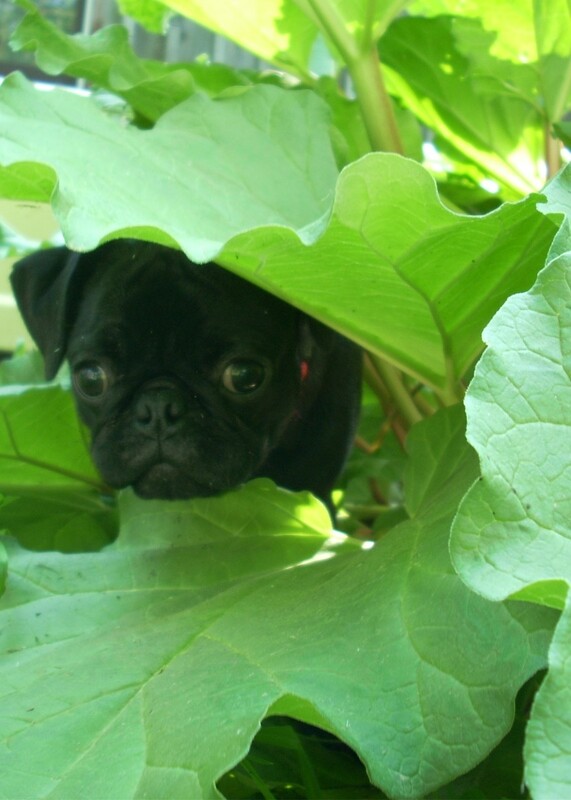 Can oat flour be used for wheat sensitive dogs? wetnosedog, my American Eskimo had food allergies too. She would get a terribly upset stomach from some proteins. I eventually tried Salmon, and she ate it for years. This treat sounds like it might be great for your allergic dog!! I hope you find the right food for her/him. Oh, I will have to try this one day. My dogs eat salmon dog food now(vet thought change of diet would help my allergy dog) and they love it. If you make some, let me know how your dog likes them. All of my dogs love them, but Asher is bonkers for them. :) I edited the title as your response alerted me that "recipe" isn't in there!!! Thanks! That treat sounds awesome! I was about to ask where they sell it and then saw you actually make it! Voted up and useful, thanks for sharing!